The Well-Spoken Woman Speaks Out will guide any woman who wants her words to matter, who wants to ensure she is truly heard, and who seeks to motivate and impact others. 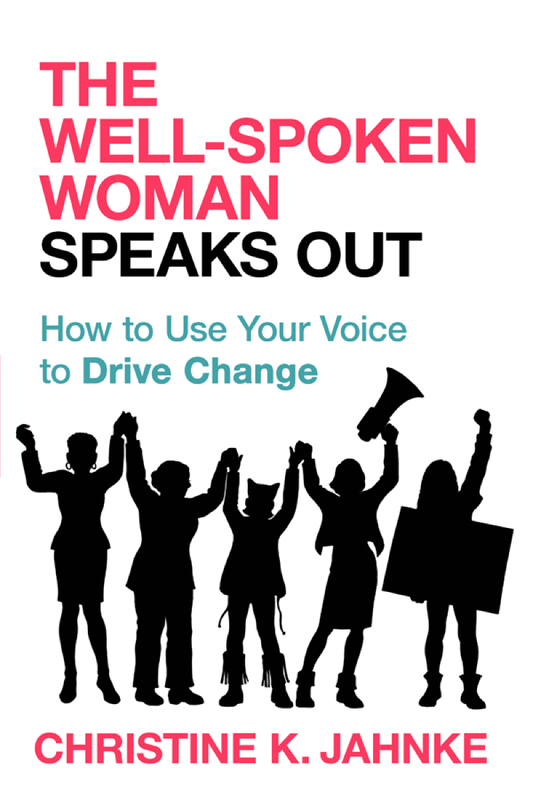 This book will help you raise your voice to drive change. One speech at a time. Best practices and tools will help you speak out with force, thoughtfulness, and confidence. Techniques will ensure you are ready for any speaking venue. This is about maximizing your unique voice so you can advance your action agenda and together we can bring progressive change. Pushing for change means encountering resistance or worse. Chris shares tactics for how to deal with the barriers that can undermine your credibility or shake your confidence. 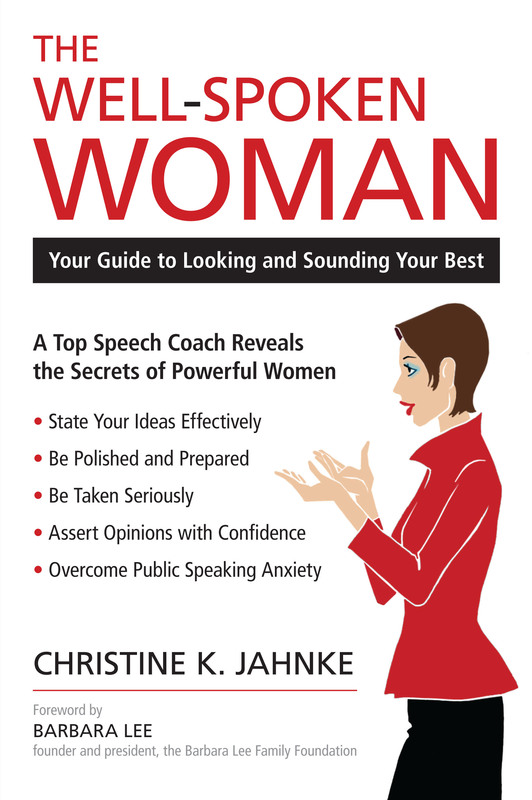 In her book “The Well-Spoken Woman: Your Guide to Looking and Sounding Your Best” speech coach Chris Jahnke shares behind-the-scenes tips to help you project with confidence. Chris has 20 years of experience guiding women from all walks of life to success before audiences large and small. Learn strategies for the board room and the PTA meeting, TV studios and convention halls, YouTube and panel discussions, conferences and classrooms. The Techniques of Successful Women: How Did She Do It? What Can I Learn From Her? The book showcases American women who use their voices to create change, ignite imaginations, coach teams to victory, and advocate for justice. Let this be the guide that helps you stop second-guessing yourself or falling short with your speaking abilities. Filled with wisdom and practical pointers you will be able to express your ideas with confidence and earn the respect of any audience.